With summer soon coming to an end, I couldn’t see a better reason to enjoy the outdoors with a homemade burger, perfect for this week’s Fiesta Friday #82 too! The recipe for the Bread comes from my fellow lovely lady Elaine. I made her Loaf this week, and since it was so good, I decided to use the same recipe to make my buns for my Chicken Burgers! A huge thanks to our amazing host, Angie from The Novice Gardener, and to our co-host’s for this week Sarah @ Sarah’s Little Kitchen and Kaila @ GF Life 24/7. Divide the dough into 4 equals parts. Shape into smooth round balls and place them on the floured baking tray (do not forget to leave a little space between them). Cover with a clean kitchen towel and allow them to rise 1 hour. After 1 hour, brush each bread with a mix of milk (1 tbsp) and one egg yolk. Preheat the oven to 210C degrees. 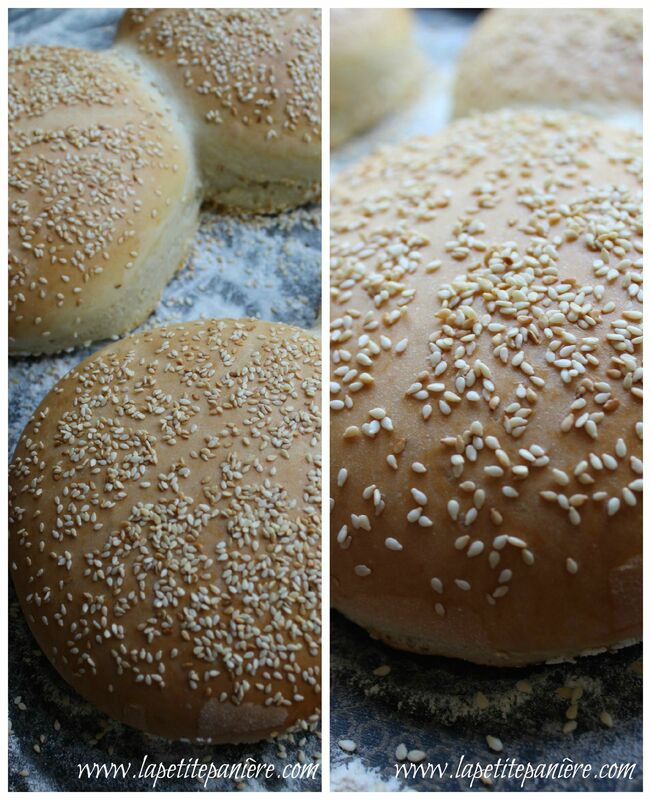 Sprinkle each bread with roasted sesame seeds. Bake for 30 minutes (more or less depending on your oven). A pinch of red paper flakes. Wash and rinse the bell peppers, and remove the seeds. Cut lengthwise the bell peppers. In a large pan, on a medium heat, pour a little olive oil and add the bell peppers. Add the salt and the black pepper. Cook until they become tender. Remove the pan from the oven and transfer the bell peppers to a plate. Peel the onions and slice them. Add the sliced onions into the same pan (add more olive oil). Cook on a medium heat the sliced onions until they turn tender and brown (about 10 minutes). Remove the pan and transfer the onions to another plate. In a large bowl add the ground chicken, the chopped coriander, the red paper flakes, salt and finally the black pepper. Mix with your hands all ingredients. Shape into 4 large patties. Grill the patties on a grill pan, on a medium heat. When the bottom becomes white/golden flip the patties and cooks the other side. 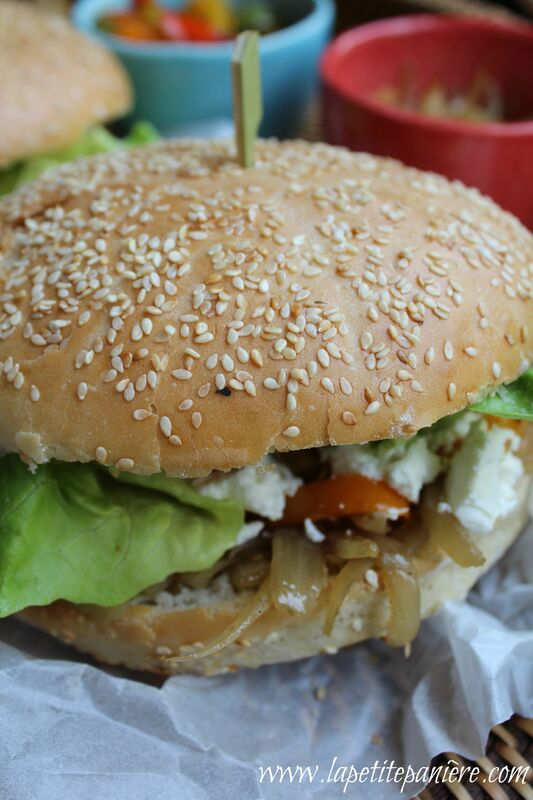 Cut each bread in half, place the patties, the onions, the bell peppers, the feta cheese and the lettuce leaves. 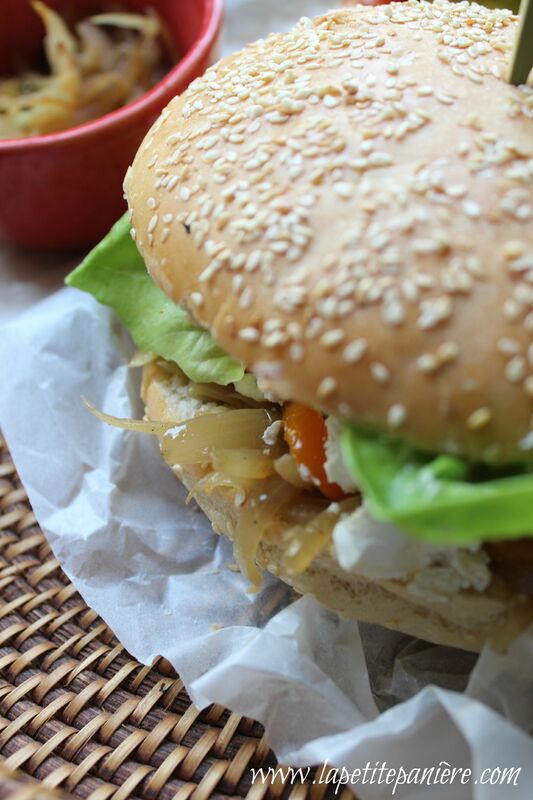 The chicken burgers are very nice, both sweet and salty and perfect for the end of summer! BEautiful Linda, chicken burgers are always a healthier version. Love all the ingredients going on in your burger. Yummmmm! The chicken looks moist! Definitely a healthier choice! Sweet and salty! What’s not to love? That is the MOST delicious chicken burger I’ve ever seen! 🙂 Nice! Yum! Lovely looking little snack Linda! 🙂 Okay, quite big tasty snack. Little snack for a Gargantua’s family! 😀 Have a nice week, Lili! Exactly! 🙂 You too Linda! Oh my goodness! You’ve baked the buns too! Can chicken burgers be any better than this? Yum! Oooh, I love a good home-made burger Linda! Yum! The buns look so professional, I can’t believe you made them! 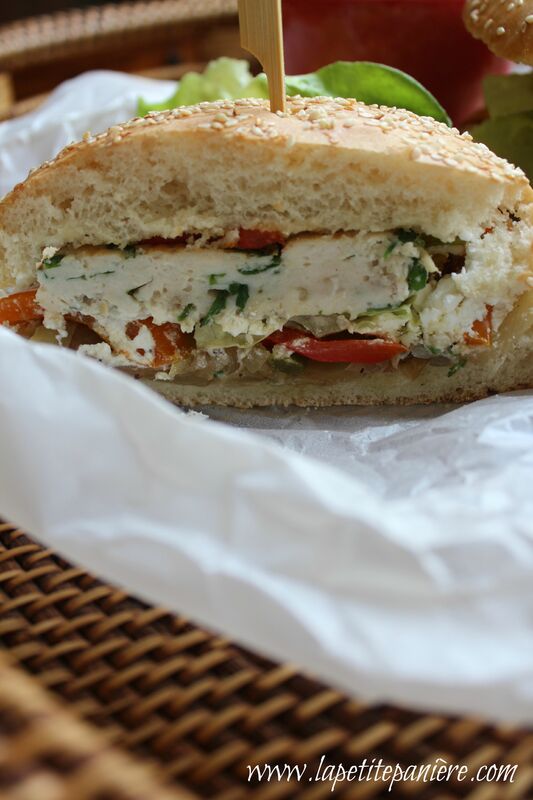 The chicken sandwiches must taste amazing on the homemade bread. Saving this to try someday when I am feeling brave! That burger looks very tasty! Absolutely agree with you Vidya! 🙂 Burgers and fries. Miss9 would love this! Homemade burgers are the best. Oh my! What a lovely lunch for the weekend! I love how simply spiced the patties are, but I can tell that they are just bursting with flavor!